The Vine Brothers use bluegrass as a root to loftier things. The instrumentation — mandolin, guitar, upright bass — is certainly a rootsy strain of wood and wire along with an old time approach to the music. But there is also the pervading lilt of Gypsy jazz along with soulful lyrics that skirt the twilight between happy and sad, light and dark. It's bluesy, too, offering a way to draw the listener in with its familiarity, and crowning them with its uniquely unmatched and unparalleled twists and twirls. Both regal and rootsy. 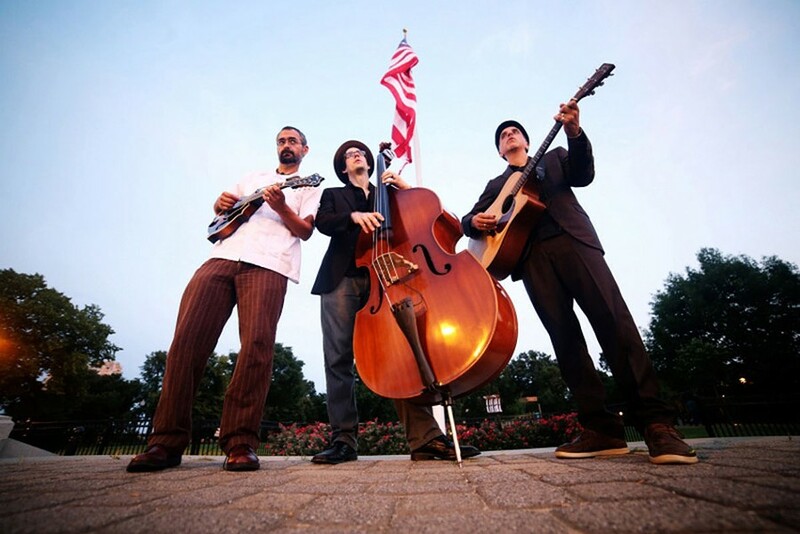 The Vine Brothers plays Thursday, September 8, at Sticky Lips Juke Joint, 830 Jefferson Road. 6 p.m. Free. stickylipsbbq.com; thevinebrothers.com.